Preserving produce from the harvest for winter is more than just sauce and jam. Fresh fruit can be added to alcohol to create a delicious drunken fruit drink to serve over the holidays. Fresh fruit or herbs can also be added to vinegar to create tasty infusions to add to vinaigrettes, sauces or even to make cocktails. 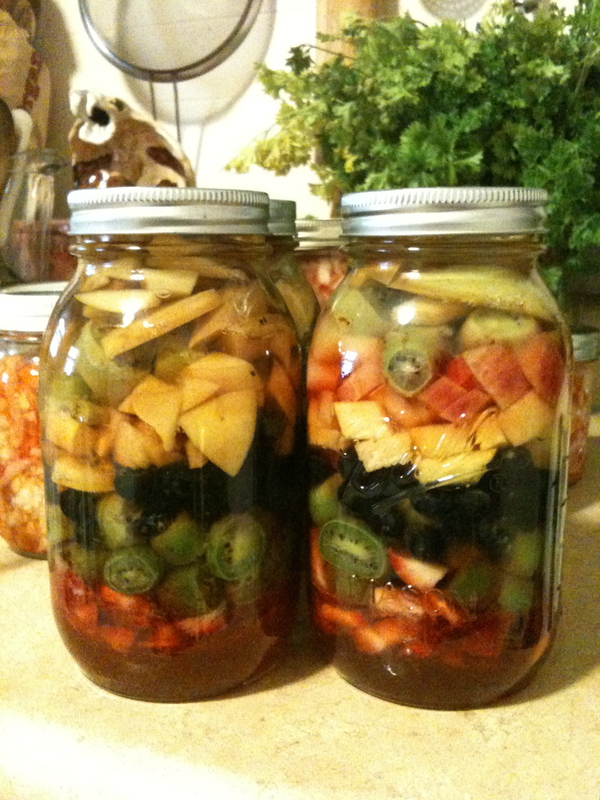 Pickled vegetables make great stores over winter. Chutneys are a great way to save fruit. The farmers are offering cases of certain items to help you try a new recipe! Use our Google Docs form to order. Dry goods orders due Oct 12 Wednesday 10 am. All items will be available to pick up Friday Oct 14 with your CSA share. Next Post MCFC CSA 2011 Delivery #10 October 14th: What’s in the box?